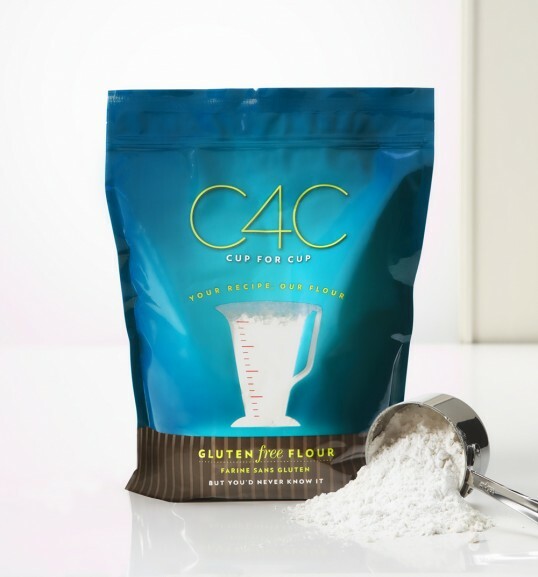 “C4C, an abbreviation of common cooking measurements — or “Cup4Cup”—is a complete multi-purpose, gluten-free flour blend that can replace all-purpose flour cup for cup in most recipes. C4C is a collaborative effort between French Laundry chef/owner Thomas Keller and French Laundry research/development chef Lena Kwak. Kwak developed the mix so gluten-free guests could enjoy breads and desserts at the restaurant. She knew she was on the right track when she watched a guest who was in tears after being able to eat brioche for the first time in over a decade. Thanks for the nice post! We run a gluten-free site from Portland, and are always seeking fresh products and fresh design. This looks great, excited to try it! “appeal to gluten-tolerant & gluten-intolerant consumers”– job well done. It’s not minimal to the point that it alienates “non-healthy” consumers, but minimal and simple enough to attract the “healthy” ones. For so long any gluten free product has been quite dowdy and boring in its packaging. This design is so bright and cheerful and so clever in its implementation.